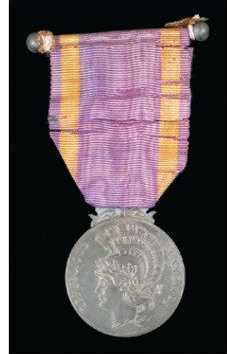 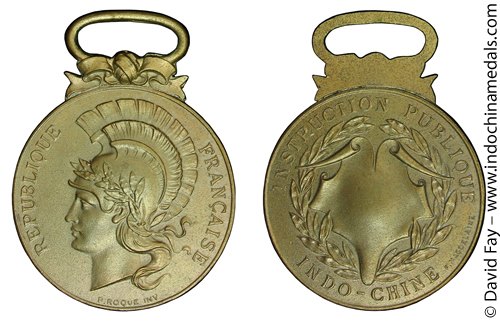 The medals also bear in very small letters on the obverse at the bottom "P. ROQUE INV" and reverse "F. MAGDELAINE". 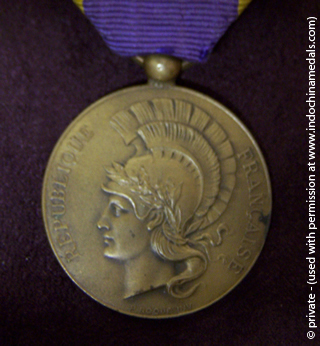 The medal is also known as the Medaille des Instituteurs - Medal for Primary School Teachers. 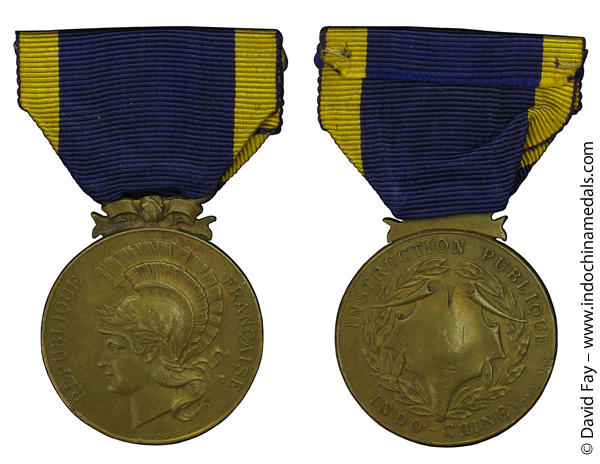 Mr. J. Hass believes the ribbon may have been changed simply so that it would differ from that for the same medal for the Metropole.